January 8, 2016 – Georgetown, Massachusetts – UFP Technologies, a producer of innovative, custom-engineered components, products, and specialty packaging, will be exhibiting molded fiber/pulp wine packs in conjunction with Grafor Packaging at the Direct to Consumer Wine Symposium (DTCWS) from January 13-14 in Concord, CA at booth 18. DTCWS is the wine industry's premier summit on direct wine marketing and sales. On display at this year’s summit will be Grafcor’s UP StandingTM Wine Packaging system. 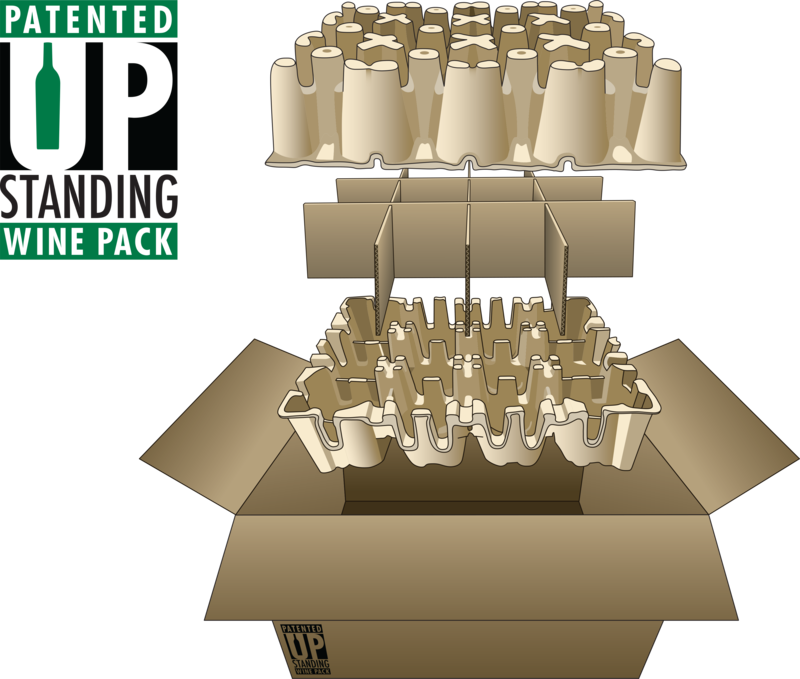 The UP Standing Wine Packaging system is a cost-effective, 100% recyclable, easy to use system that stores bottles vertically throughout shipping. The packaging, manufactured by UFP Technologies, uses a combination of molded fiber cushions and corrugated inserts to achieve its unparalleled protection. The innovative vertical packaging design allows distribution facilities to pack bottles at a faster rate compared to the traditional “lay down” configuration and allows for efficient quality control checks prior to packages leaving the facility.